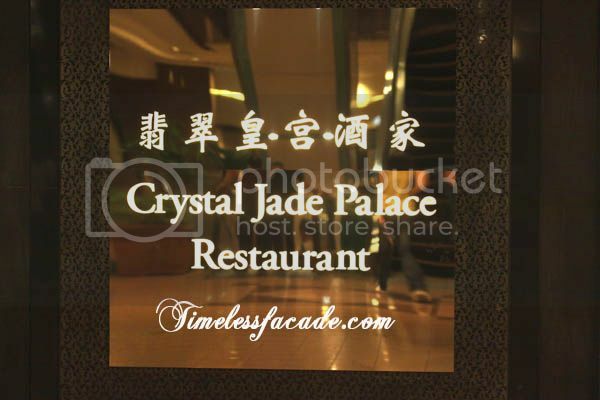 I had always been under the impression that Crystal Jade Palace and Crystal Jade Golden Palace were one and the same restaurant. 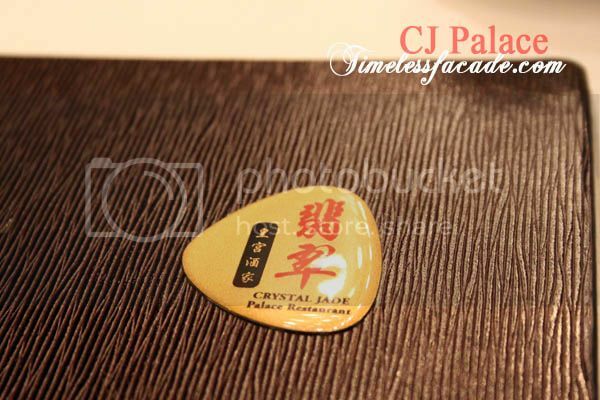 But a chance dining encounter at Crystal Jade Palace some weeks back proved otherwise. 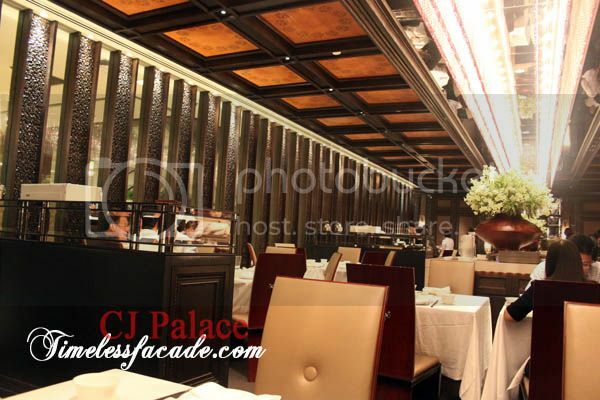 Like its equally upscale sibling, Crystal Jade Palace boasts a tastefully designed interior that oozes contemporary Chinese chic at its store in Ngee Ann City. And what's surprising is that amidst the recession, the place was packed to the rafters by about 8pm. And you would think that such an upscale Chinese restaurant would see a decline in patronage. The restaurant's shark bone soup was honestly not my cup of tea. It came across as way too milky for my liking and rather bland. And the sticking point was the thick layer of residue it left on my tongue. I'm a sucker for roasted pork belly and this one had crackling crisp skin above proportionately lean meat that wasn't too dry or salty. I would have loved to have seconds if not for my very strained wallet. The roast duck's skin wasn't crisp and there was a lingering fowl taste. Decent nonetheless but I've had way better and definitely not worth the 18 bucks. Tasty but the gravy was a little too starchy which made me nauseous after a bit. However, the serving of crab meat was generous and the broccoli, cooked just right, which more then made up for it. Best eaten with rice. Overinflated best describes the deep fried ice cream, which had a thin hot air inflated crust that looked and tasted like what you would find in goreng pisang. And within that crust lay a scoop of peach flavoured ice cream that seemed to be melting at an exponential speed. Decent. 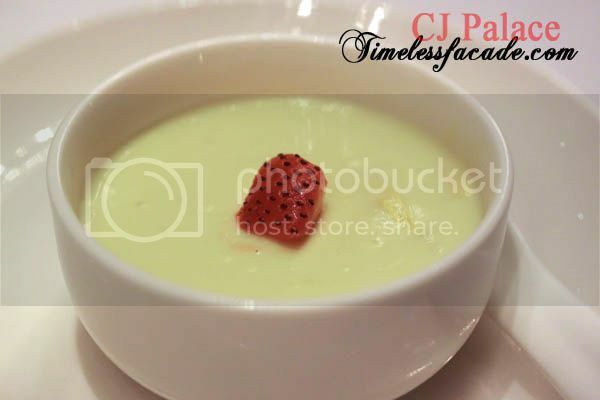 Durian shreds embedded within smooth and chilled pudding that promised a glimpse of the real mccoy. What's not to like? However I prefer puree or real durian flesh anytime. 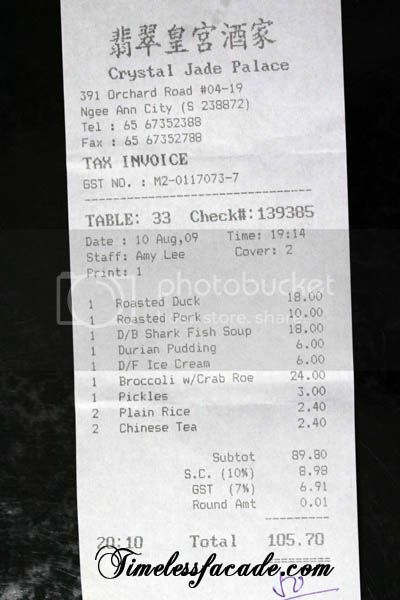 Dinner for 2 crossed the century mark at about $106. 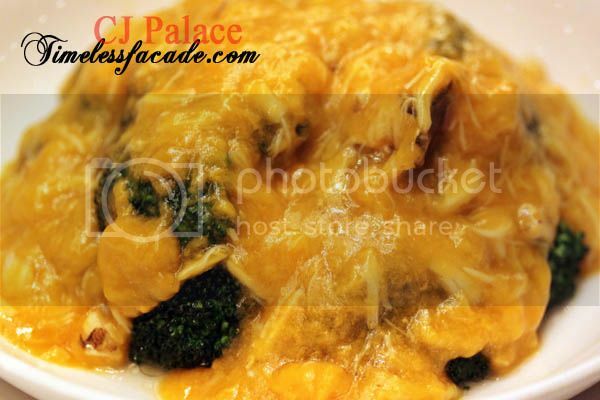 I am not sure that the quality of food commands such a high price tag and I definitely favour Golden Palace over this, even with the not too recent disappointment. Service is generally good but I sure didn't like the idea of sitting only about 30cm away from the next table. 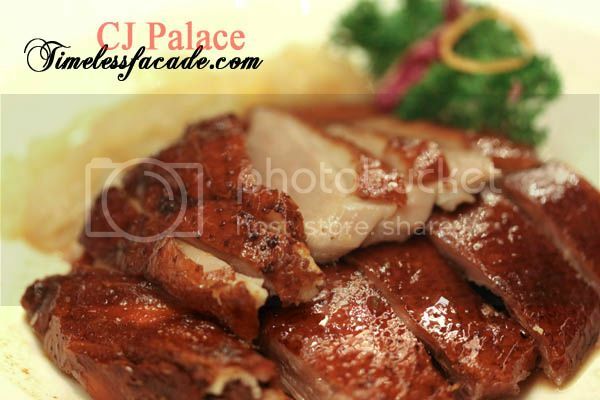 Been to CJ palace & golden palace before and i feel the food there is not worth the money. Nice restaurant but average food. 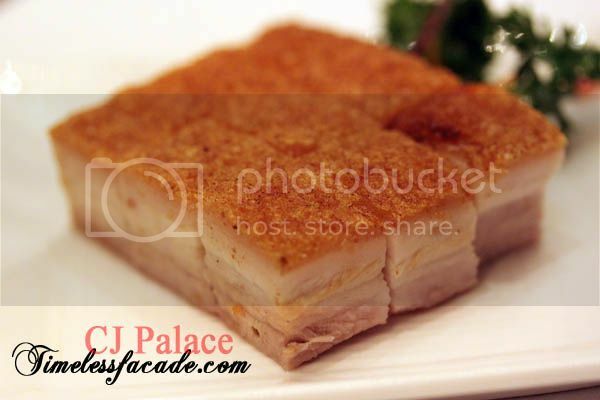 Thumbs down for food quality at CJ Palace at recent visit. Management has probably overly focused on expanding chain, and making more money, hence their dim sum and kitchen orders seem to be produced via food processing machines;passion lost. 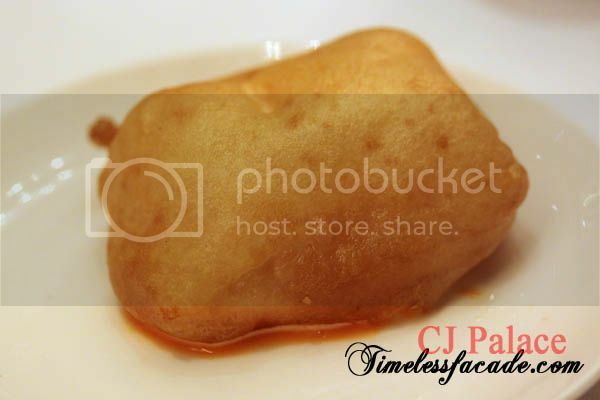 Even though I'm not a fan of Chinese cuisine, I find that Crystal Jade is nicer than DTF.. The latter doesn't have much variety to me. Or maybe I haven't been there for ages haha. SistaFood: I thought Golden Palace was quite good the first time I went. And they have been quite consistent the couple of times I've been there, except for CNY eve. Personally I think DTF is quite overrated. Food is comparable to the normal CJ chains. Lacks finesse. Anonymous: I think that's the problem most places face nowadays. 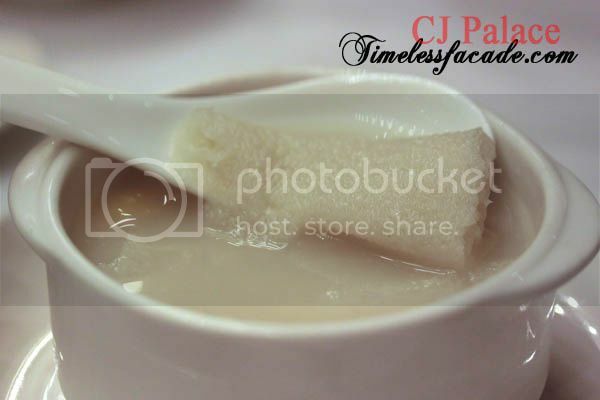 Min Jian has a great durian pudding, with real fleshes!